One out of every three American adults take statins, and if you think that sounds like good news for statin manufacturers, you’re missing the bigger picture. All of Big Pharma benefits when people take statins. In fact, statins can really be thought of as gateway drugs. After all, they have so many side effects that you will likely end up taking several other medications after you start statins just to deal with them. What can happen to you if you take these dangerous drugs? They suppress your body’s immune system, rendering it less able to fight off infections. They also inhibit production of coenzyme Q10, which helps to regulate your immune and nervous system and maintain a healthy heart and blood pressure. There’s also a higher risk of neurological diseases when you take statins, with many patients reporting forgetfulness, confusion and memory loss. But don’t worry – whatever happens to you, Big Pharma has a solution for that, too! Statins also increase your risk of diabetes, so much so that the FDA has required that a warning label be placed on the package informing people of the link between statins, higher blood glucose levels and diabetes. The risk is especially heightened if you are an older woman. An Australian study found that elderly women who took high doses of statins had a 50 percent higher risk of developing diabetes. This could mean you’ll end up on diabetes medication for the rest of your life. And for what benefit are you placing yourself at so much risk? 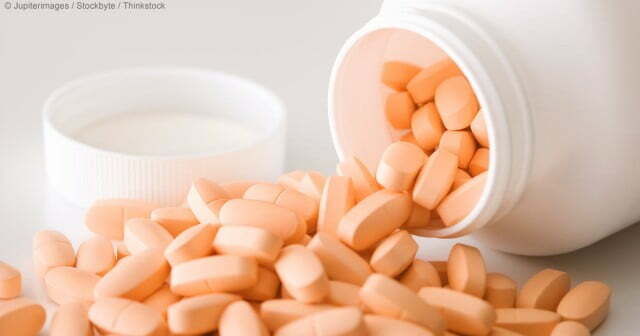 According to research published in BMJ, taking statins over the course of two to five years adds just 3.2 days to a patient’s lifespan on average – if the side effects don’t kill them first. Yes, they’ve been approved by the FDA, but how many times has the FDA had to pull drugs after initially approving them as their dangers became too obvious to ignore? If all this make you want to keep your distance from statins, you will be pleased to know there are some great alternatives. Dr. Jack Wolfson, a Phoenix-area holistic cardiologist, believes that a wellness model needs to be followed rather than a sickness one. In an interview with Mike Adams, the Health Ranger, he pointed out that cardiologists sometimes fall into the easy routine of blindly prescribing statins as Big Pharma tells them to and collecting a paycheck. After all, they’ve got medical school loans to pay off. Dr. Wolfson asks why people would want to choose statins, which can reduce the risks associated with high cholesterol slightly yet put them at risk of many other problems, when they could take safe actions that bring their risks down to zero? He said that nobody says they feel better when they take statins and blood pressure medications. In contrast, those who turn to evidence-based supplements often report feeling great, losing weight, and having more energy. Some of the alternatives he mentioned in the interview include beetroot powder, magnesium, and Omega 3. He says that we can make such a big difference in our health through food., and he also points out how powerful the sun can be in keeping us healthy. He also suggests that people get more physical activity, such as walking or gardening. When your health is less than optimum, Dr. Wolfson says, your body is deficient in nutrients, not pharmaceuticals. Drugs might be good for emergencies, but when it comes to prevention, you can’t beat a healthy, well-rounded and nutritious diet, physical activity, and good old-fashioned sunshine. What do you have to lose by trying it? Watch the full, shocking interview with Dr. Wolfson below.